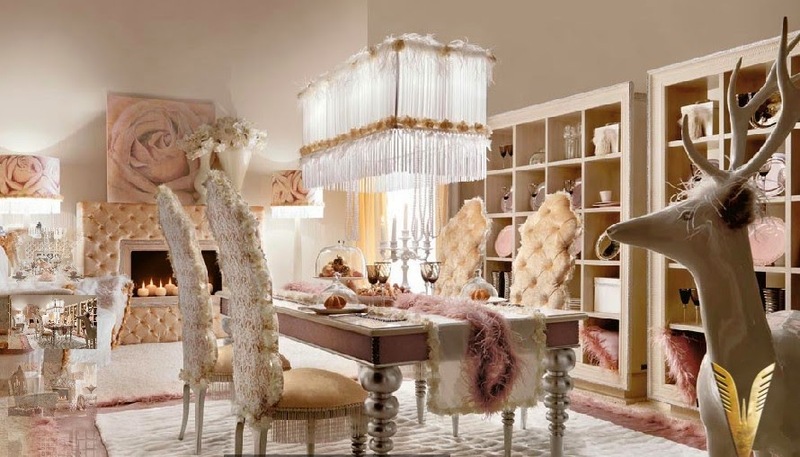 If you have a separate kitchen from dining room! 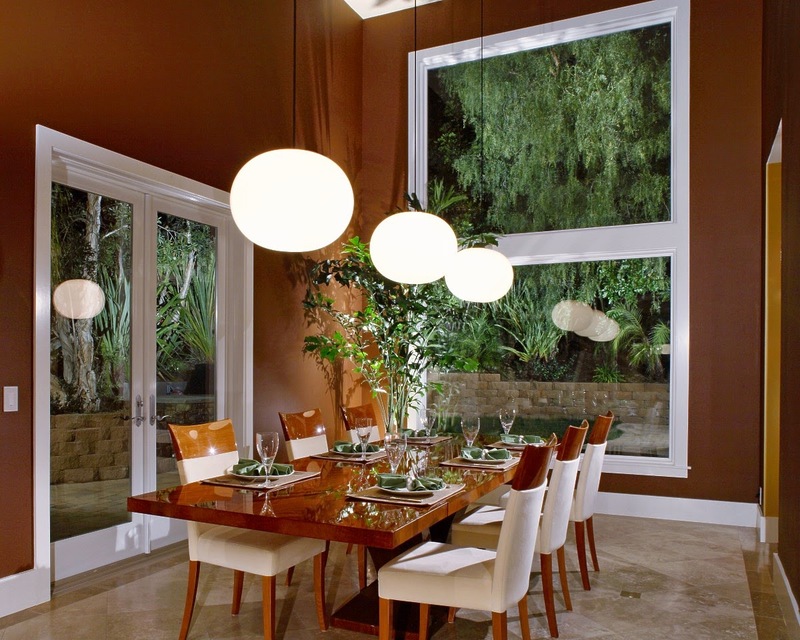 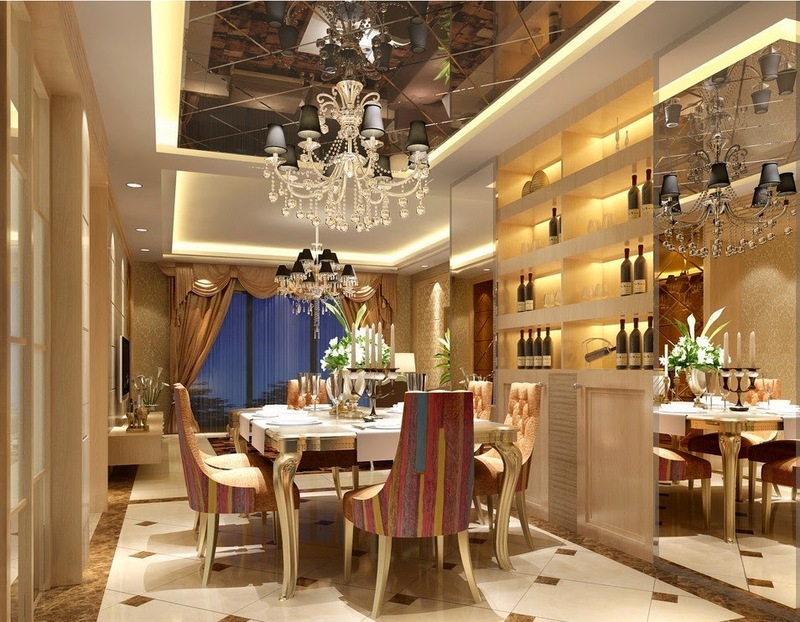 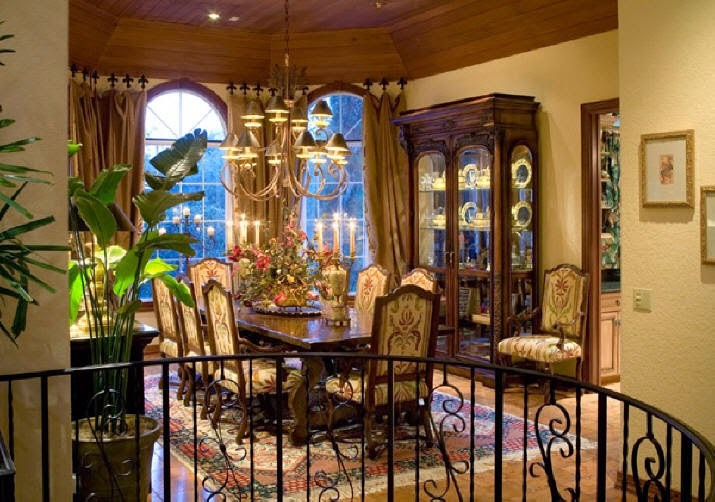 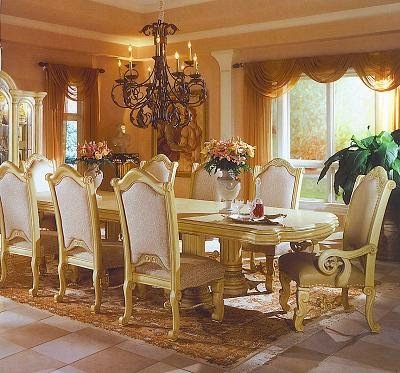 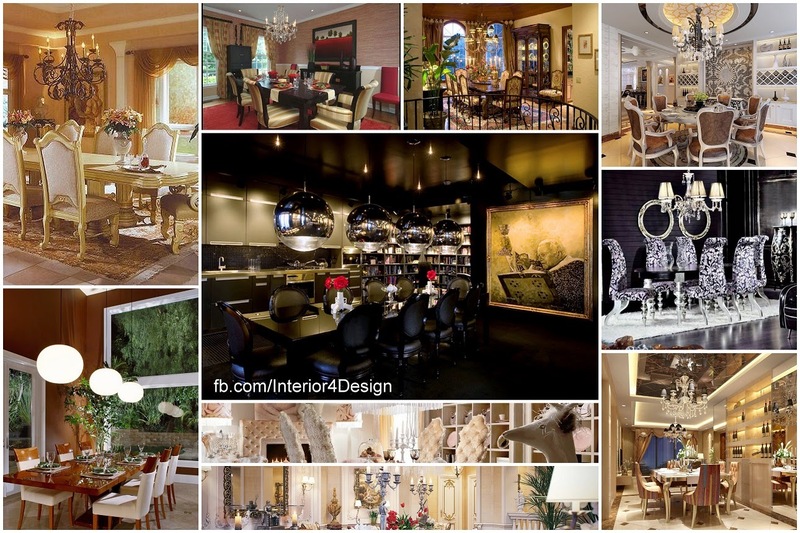 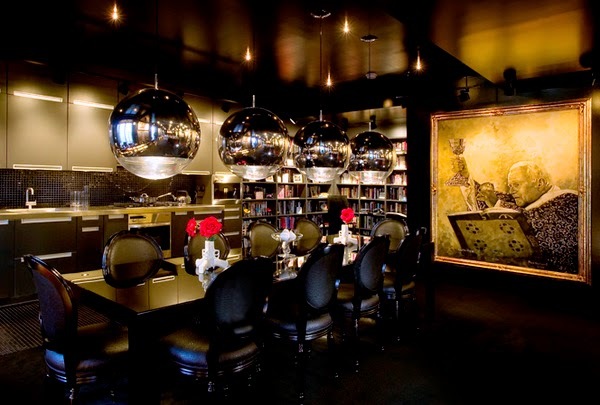 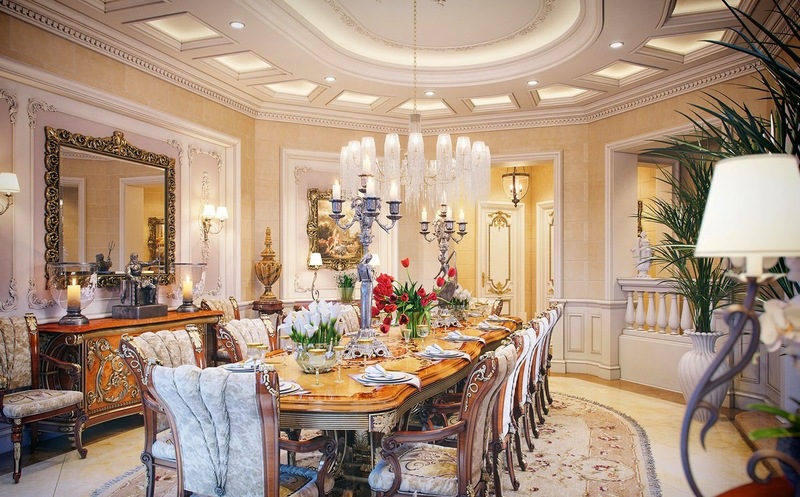 then this post is your ideal way to create a luxurious dining rooms with some modernity touches. 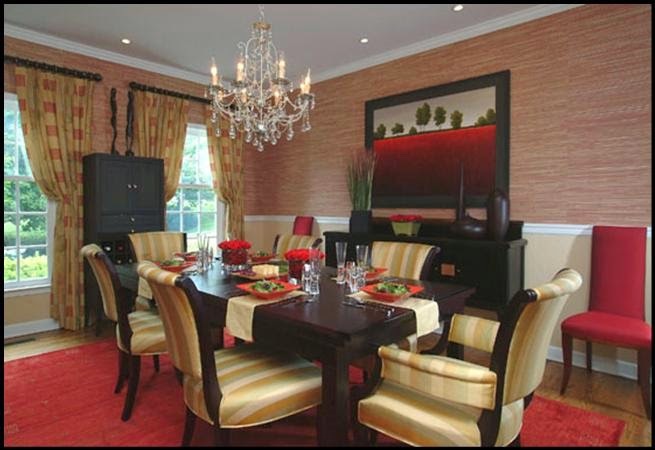 The ideas of the modern dining room luxury depends on three things , scale , materials and unique features , you have to think on a larger scale , and the use of the finest materials and the addition of some one of the additions to the room , an area of ​​the dining area of your must be large enough to accommodate a table food and chairs in the center and some furniture and decor overtime along the walls , and should also be a lot of space for freedom of movement around the table that would eliminate the feeling of congestion , the use of wooden tables or glass with shiny surfaces , leather, metal for chairs. 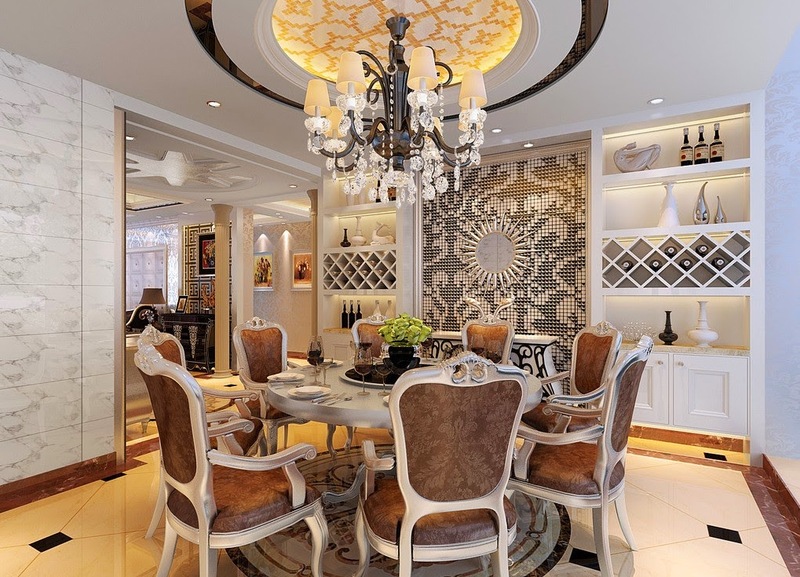 You can help in the design with some of the trappings of modern wall or sculptural pieces , and should finish the room with great lighting above the dining table , which will work like a center piece of perfection, and the appointment of Joe Luminous passionate , and finally , there is the color scheme , you can use many black and white or the color of one particular the different shades in all parts of the room and you can use two or more contrasting colors .